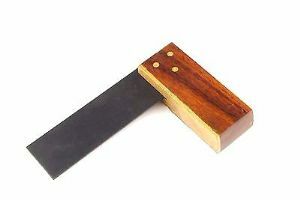 Here we have a miniature 3" brass and hard wood tri square. Brilliant for those little jobs. Check out our other listings for other woodworking tools.